Home » Featured » Disney/Pixar’s Brave : New Trailer! Disney/Pixar’s Brave : New Trailer! As the mother of two little girls, I cannot wait for the release of Disney Pixar’s Brave. I love that Merida, the heroine in this upcoming film is self-reliant, courageous, and willing to take a stand. She has heart, passion, and bravery….and don’t we want all of those things for our children? Merida is a refreshing character that breaks the mold of the typical females often found in children’s movies. 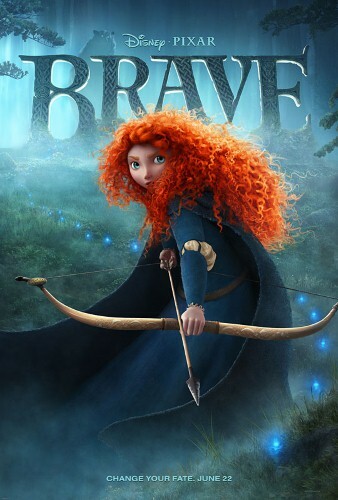 Brave is set to release in theaters on June 22nd, and is sure to become a Disney/Pixar classic. Since ancient times, stories of epic battles and mystical legends have been passed through the generations across the rugged and mysterious Highlands of Scotland. In “Brave,” a new tale joins the lore when the courageous Merida (voice of Kelly Macdonald) confronts tradition, destiny and the fiercest of beasts. We will be able to journey along with Merida as she challenges her fate, inadvertently releasing chaos in the kingdom, and ultimately discovers the true meaning of bravery….all before it’s too late! Remember, Brave hits theaters June 22nd! Will you take the journey?